As a successful essential oil user, I do get asked this question, and usually I choose to create a very vague and non offensive answer then slip away before anyone notices that I’m gone. Why do I do this? Simply because I hate confrontation and do not feel the need to prove what I choose– never because I don’t have an opinion about the best oils. Personally, I believe it is ridiculous to claim that only one company can possibly create pure essential oils. If that’s your stance, then you need mental help. Hello, essential oils have been around for thousands and thousands of years. One small oil company did not figure out the superior way to create essential oils. Period. That does not mean that there are not many, many adulterations of essential oils, impure essential oils, and even oils which could be dangerous if misused. Where there is something beautiful, there is always a fake trying to masquerade as equally as good. Be careful. Pure, therapeutic grade oils are not made by only one company, but they are hard to find. The most common question I get about essential oils is, “why do you use Young Living oils over anything else?” The answer to which is very simple; I trust their quality. This trust is not just placed in the word of someone inside the company who claims that the oils are pure. This trust is actually based on real life experience. I’ve been there and seen it. 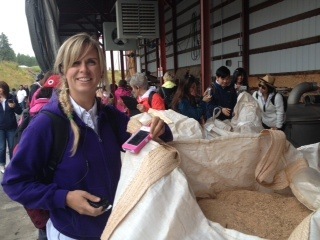 Kayla with a bag of Sandalwood Chips–AMAZING SMELL!!!! 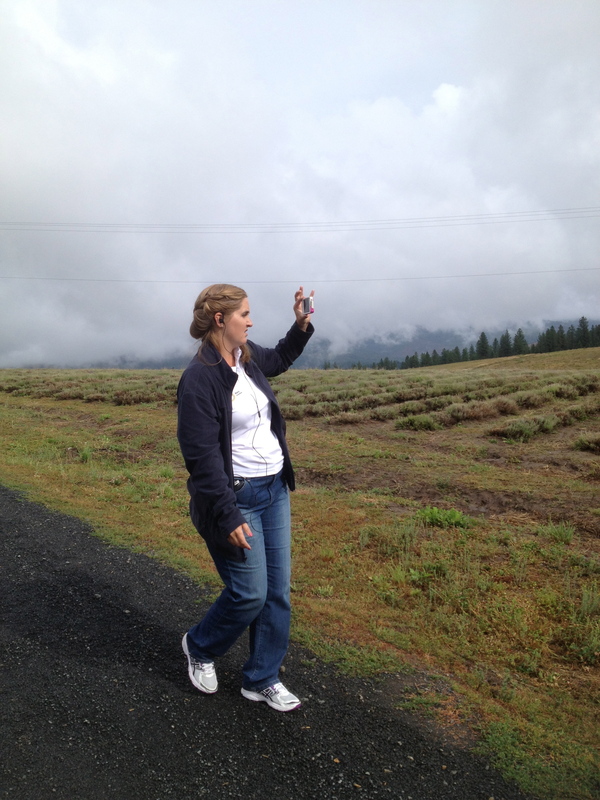 Mary Clendenin photographying the Lavender Fields! Young Living actually has farms near my home where they grow some of their plants and distil their oils. I had the privilege of visiting one of those farms and seeing the planting, the harvest, and even the distillation of the oils. I was flabbergasted by the care and time put into creating essential oils. Before this visit, I KNEW it was a complicated process, but I had no idea how much passion and time it takes. It takes 5 years to train someone how to distil essential oils. That’s just to get them good at it, not amazing at doing it. Gary Young searched for a long time to specifically find land which has never been sprayed with any kind of chemicals, etc.. so he could start his farms. If even the tiniest thing goes wrong when distilling a batch of essential oils, the entire batch is discarded. Young Living will never use anything even slightly compromised. Plants are harvested differently and treated with exact and specific care during harvest in order to get the highest quality oil from them. It took many years to perfect the art of harvesting Melissa to get the best oil. 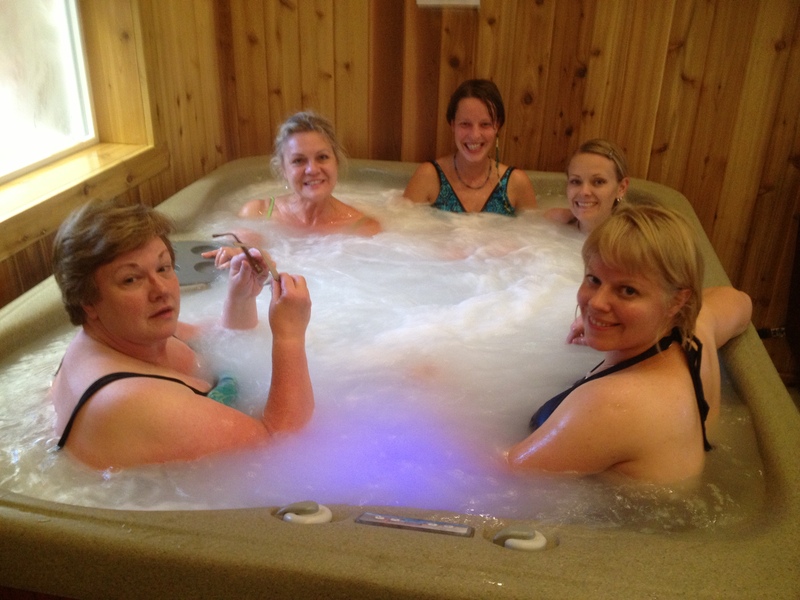 Mary and I had such a wonderful time touring the farm–but I must confess, my favorite part was sitting in the leftover floral water Jacuzzi!!!! Young Living Silvers enjoying the floral waters! Bottom line is this; I want everyone to use essential oils because I love them so much! 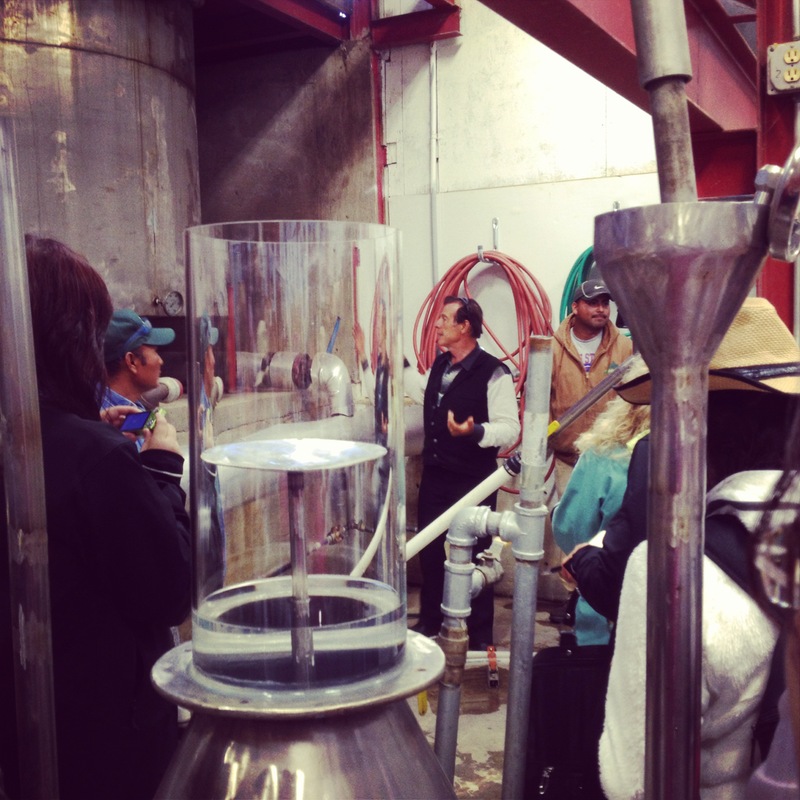 I’m so grateful that I had an opportunity that many people won’t get when I got to tour an essential oil distillery. It changed the way I view essential oils forever. Even though you may not get the chance to visit a distillery, I do know that your gut and your research will lead you to be comfortable with the best quality oils you can find! 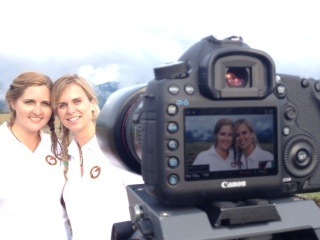 Kayla Howard & Mary Clendenin at the Young Living Lavender & Melissa Farm, August 2013. Tammy, you will LOVE it when you get a chance!!! I did remove the link simply because I refuse to actually compare oil companies—but thank you!!! !